CHICAGO -- One Chicago kindergartner wanted to feed the homeless instead of throw a birthday party. 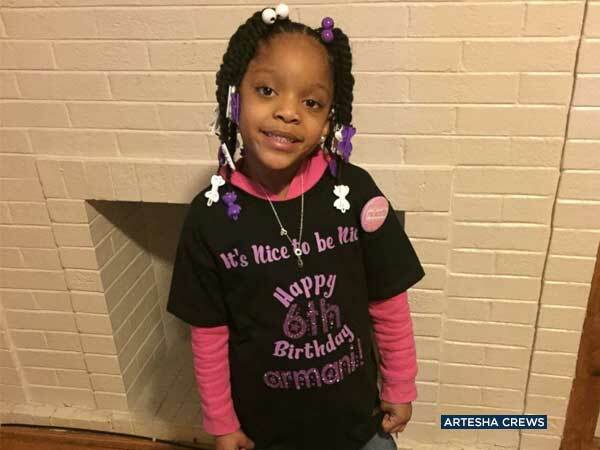 Armani Crews, who turned 6 earlier this month, had been begging her parents for "a few months" to feed homeless people in her community, but her parents thought "she was joking," her mother, Artesha Crews, told ABC News. "I said, 'OK, we'll make some sandwiches,' to which Armani said, 'No. I want the same thing we'd have at my birthday party,'" her mother recalled. Even when her father, Antoine, informed her that if she wanted to go through with this, she wouldn't get a birthday gift, the girl, whose birthday was March 5, persisted. Armani Crews wanted to feed the homeless instead of having a traditional birthday party. So the Chicago family spent about $300 buying food to deliver to homeless people in the city's East Garfield Park neighborhood. They purchased chicken, fish, spaghetti, corn, green beans, mashed potatoes, rolls, cake, cookies, fruit and water. 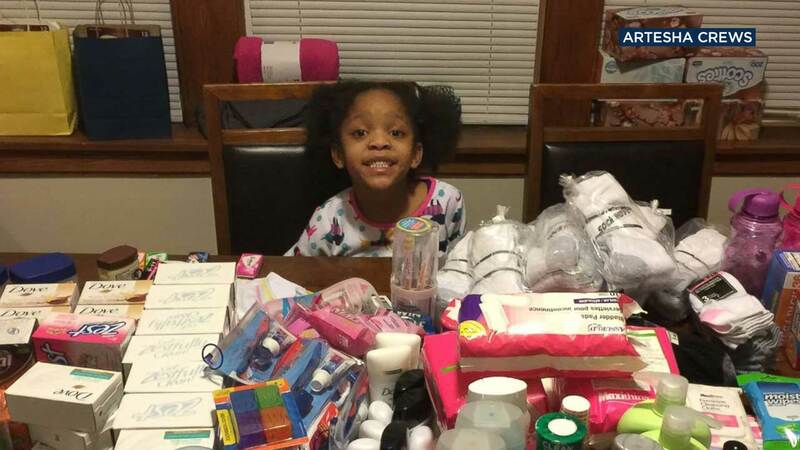 After Armani mentioned her plan at the family's local church, congregation members donated other items to create care packages for the homeless. Each care package included a toothbrush, toothpaste, deodorant, hand sanitizer and a snack, such as a granola bar. 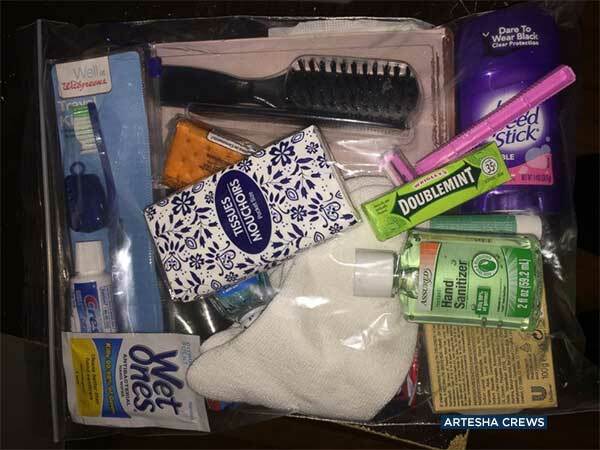 An example of a care package created for Armani Crews' birthday party to feed the homeless. Armani's birthday party was a success, with the family feeding more than 125 people who gathered. In a statement, the kindergarten student told ABC News, "It was nice to be nice." Her mother added, "She was excited. She was happy. Everybody was being fed. ...One of the gentleman said he hadn't had a hot meal in a long time." Now the 6-year-old wants to host another community meal for the homeless. Her mother said the family plans to return to the park "within the next couple of weeks."